Very soon we’re going to start a new article series here on Londontopia. 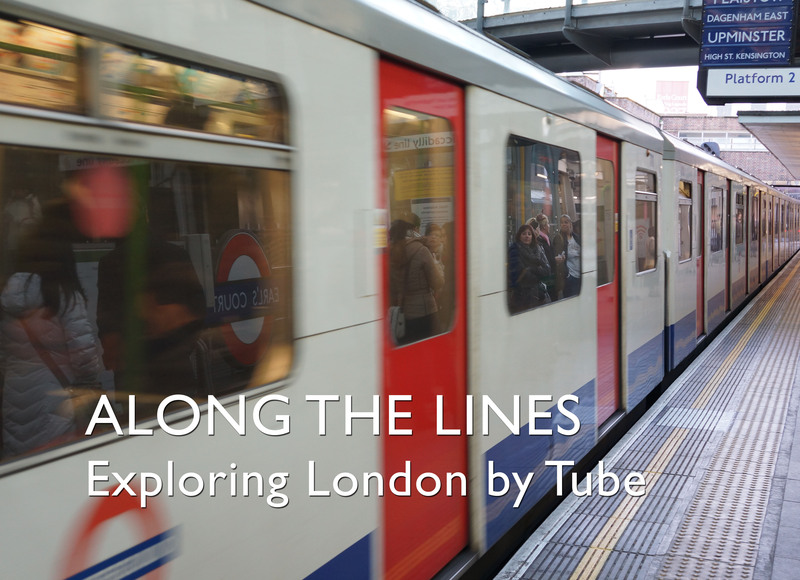 We’re tentatively calling it ‘Along the Lines’ and the concept is simple: every time we’re in London, we’re going to pick a Tube line and spend the day exploring the entire line, from beginning to end. We plan to visit famous places but also study the architecture and heritage along the line that might not be in a guidebook. Our hope is to discover many new wonderful things in London to share with all of you. The plan is to write a long-form article about each line but also take tons of pictures and film video to do a companion video series. The reason I’m writing all of this, as we wouldn’t normally talk about something before we’ve done it, is to get your vote on which Tube line we should explore first! If you could take a moment to answer the poll below, we would greatly appreciate it. If you have any suggestions for things to see along any particular Tube line, please leave them in the comments and we’ll begin collating them for our research. When will our first trip be? I’m coming over to cover Harry’s Wedding in May and have planned in an extra day to do the first line. I’ll take what I learn on that day and do the first series – then later this year when we’re in London again, we’ll do another one. This is a multi-year project (and we may turn it into a book eventually). And a note for railway pedants: Yes, I know that the DLR, London Overground, Etc are not technically part of the London Underground or Tube Lines, but I want to explore all the rail/transport systems in London as part of this series. We will eventually do Crossrail/Elizabeth Line as well once it opens fully. We may eventually do National Rail lines as well, but right now just want to focus on the lines run by Transport for London. Up the hill from Highgate Station is the greatest little High Street, the old Toll House (hanging over the roadway), and the little square in front of George Michael’s house with all the memorabilia. do you have a list of all the stations that were used during the blitz? I have found that the District & Piccadilly lines take us to most places. That being said…..why don’t you take 1 tube station at a time. Couldn’t you fill an article with all the places surrounding 1 particular station? Piccadilly line is very good for the visitor but don’t forget the Docklands Railway and a visit to the Trafalgar Tavern at Greenwich for lunch and a good look at the Cutty Sark. Later this year – I wasn’t able to do the first line when I was in London a few weeks ago so the start has been delayed.